Can Boris Johnson go all the way to Number 10? An unexpected parliamentary majority has given David Cameron his second term as PM. But with Boris Johnson returning to the Commons, the London mayor is already being touted as his successor. Things could hardly have played out better for the Conservative party. The Labour party now has just 232 parliamentary seats, and Ed Miliband, its leader, has resigned. The Liberal Democrat presence in the Commons has been decimated – the party now has eight MPs, and its leader, Nick Clegg, has also stood down. And with the UK Independence Party managing a solitary MP, Nigel Farage also gave up the party leadership, having himself failed to secure the South Thanet constituency. The Conservatives, meanwhile, emerged with more seats than they could have hoped for on the basis of pre-election polls. Their 331 seats mean they have a parliamentary majority of 12. So David Cameron, freed from the constraints of coalition or a possible minority government, can contemplate a second term in which he and his party enjoy the authority to govern. On the horizon are at least two big constitutional questions: British membership of the European Union, for which Mr Cameron has pledged a referendum, and the role of Scotland within the United Kingdom. There is also the question of the premiership itself. Mr Cameron said during the election campaign that he would not serve more than two terms, and his second term is due to end in 2020. Iain Duncan Smith, the Tory work and pensions secretary, predicted that he would stand down as PM before the 2020 poll. Such a move makes sense. A successor would need to be in place well ahead of the next general election. But it also inevitably creates speculation about Mr Cameron’s successor – at which point the spotlight trains on the likes of Teresa May, George Osborne and, inevitably, Boris Johnson. 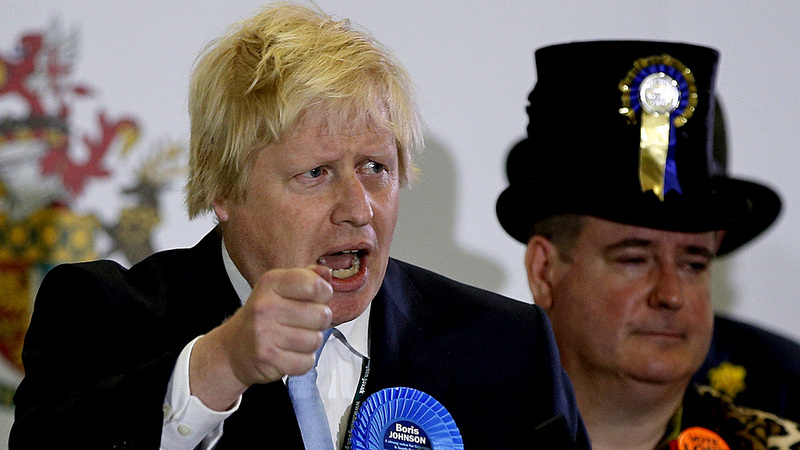 The London mayor is now once again an MP, having taken the safe Conservative seat of Uxbridge and South Ruislip. He was MP for Henley-on-Thames for seven years from 2001, standing down in 2008 after ousting Ken Livingstone as London mayor. And David Cameron has already said that he envisages a high-profile role in the new government for his fellow Old Etonian. He told London’s Evening Standard newspaper: “I haven’t got a specific job in mind, but Boris has got a huge amount of talent and a great track record of running London. It remains to be seen whether or not the prime minister gives Mr Johnson a governmental brief while he is still running London. If the mayor is spared the political exposure that comes with a ministerial position, it may be that – unlike his probable rivals – Boris Johnson joins the contest to replace David Cameron relatively untainted by political dirt. If that is the case, then he will be measured according to his achievements as London mayor and, of course, his charisma – what others have called his “novelty appeal”. Mr Johnson is fortunate in having presided over London’s apparently inexorable rise to the status of “world’s greatest city” over the past decade or so. He will be remembered for rolling out the “Boris bikes” cycle hire scheme (though it was predecessor Ken Livingstone’s idea). And some of the stardust cast by the London Olympics undoubtedly landed on his blond thatch before, during and after the 2012 Games. Are there more solid achievements to his name? As early as 2010, the Conservative Home website lists “100 achievements of Boris Johns as mayor of London” – although some, including “brought back Christmas” and “Queen’s portrait unveiled in City Hall”, are more dubious than others. Not long before London 2012, journalist and blogger Adam Bienkov told Channel 4 News Mr Johnson had made “lots of small achievements but has never had much of a grand vision”. Where Ken Livingstone had established and extended the congestion charge zone, his successor won popularity – especially in the outer boroughs of Bexley and Bromley – by cutting its size. Which leaves us with the indefinable Boris charisma. In a New Statesman profile in January, David Hill referred to the man’s “frivolity, flamboyance and fruitiness, the impression he gives – not exactly false – of flying, dazzling and spontaneous, by the seat of his pants”. It is that quality – the sense that, unlike so many of his political contemporaries, he is unconstrained by the controlling demands of his PR masters – that allows him to communicate so fluently, both in words and by simply “being Boris”. The fact is, though, that being leader of a major political party would subject him to the sort of intense scrutiny he will never previously have been subjected to. It may be that we do not find out until then exactly what Alexander Boris de Pfeffel Johnson is made of.